At House of Floors, we have all of the flooring options you'd like for your home or business. We work through the Copperas Cove and Belton, TX, area to bring you beautiful and quality options. Our team offers many different flooring material services like our top-notch vinyl plank flooring install services to help with your renovation or new project. When you get a vinyl plank flooring install, you mimic the look of a hardwood floor without some of the hassle of real wood flooring. Despite looking like wood, vinyl plank flooring is water resistant and lasts a long time. If properly taken care of, vinyl planks can last 20 years, and the floor requires minimal cleaning to keep it looking like new. All this makes your vinyl flooring convenient and easy to take care of. House of Floors has many different options available for our vinyl plank flooring installation services. 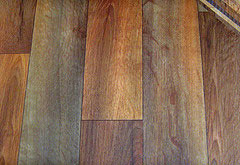 We have vinyl that looks like most types of wood, from oak to walnut. Our team can also install vinyl planks that look like stone or tiles. We can put grout in to give your floor a more authentic look, or we can skip the grout. Our team also creates decorative borders and geometric patterns to give your floor a unique look. Our company is family-owned and -operated, meaning that we know both in a business sense and a homeowner's sense how important good flooring is. That's why for over 38 years, House of Floors has helped homeowners and business owners improve their properties. We hope to continue giving you fantastic flooring installations for years to come. If you'd like to get realistic-looking vinyl plank flooring installed to your home or business in Belton or Copperas Cove, TX, feel free to call House of Floors at 254-554-3430 or fill out our contact form.